I am currently in Ghana visiting friends and we were having a useless conversation about how McDonalds is far superior in other places than in the USA. As you know I love profound nonsense and as we were talking about good places to chow the cow in Europe, I said in response to someone mentioning France as an example that other places on the continent were good too, to the pseudo chagrin of others in the discussion. They jokingly took umbrage because I had said the continent in reference to a delineated landmass other than our beloved Africa. Though it was in jest and I was being chastised playfully, at the time I defended my usage of the phrase as I was talking in context: Europe had already been introduced into the conversation and so it was clear I was referring to it as aforementioned, and I had not applied stress through intonation by saying THE continent. If I had done such an abominable thing, they would have had a much stronger case against me, and I would have pled guilty and carried out whatever sentence dealt uncontested to repent and correct my wayward ways. I reflected on this later and realised that in general, as far as I am concerned, if I refer to the continent in any other context by default I mean the only continent worth giving such deference to: AFRICA baby! There is only one. 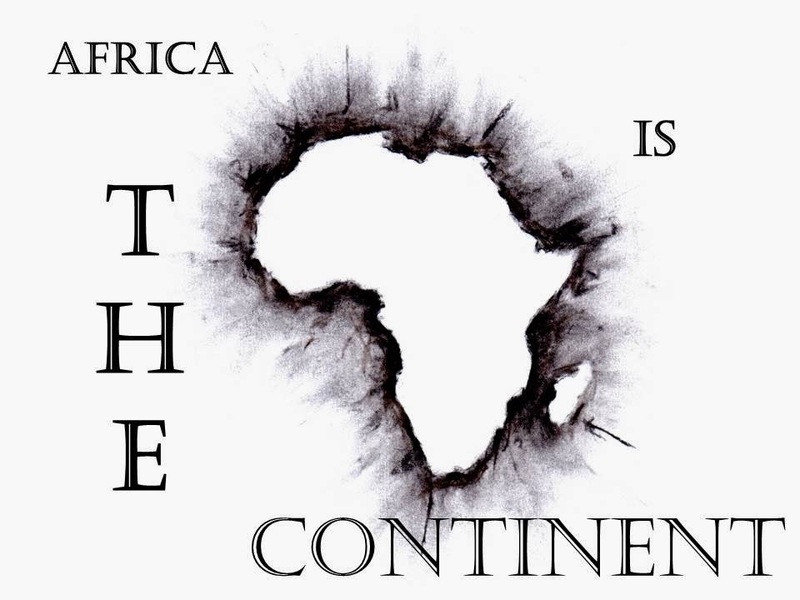 Africa is THE continent. And that is the sentiment shared by all of the proudly African women I was powwowing with. And by all Africans. And anyone with sense really. Then I wondered if people from other continents refer to their part of the world as the continent and then was overcome with great sympathy for them. Why? - Coz they are deluded! I am here to inform you that despite whatever you may think, or how proud you may be, there are six continents in the world but there is only ONE that can be referred to as as THE continent - Mama Africa. There is no argument to refute this irrevocable fact. IT JUST IS. PERIOD. FULL STOP. NEXT! Mwaunfwa (You hear)? Africa has and always will be THE continent. You're welcome, I am glad to have informed and/ or corrected you he he he ;}.